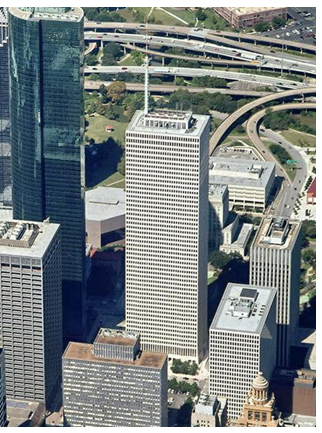 ​​HOUSTON - Shell Oil Co. has listed 350,000 sf at One Shell Plaza. Cushman & Wakefield is serving as the brokerage. The 50-story tower at 910 Louisiana St. is home to Shell Oil and Baker Botts LLP as major tenants. The building spans 1.6 million sf in Houston's Central Business District. Shell Oil renewed its lease in the building and its sister tower, Two Shell Plaza, in December 2011 to 2025. ​​​At the time, it was one of the largest single office space leases worldwide. As of 2013, Shell occupied about 927,000 sf in One Shell Plaza and additional space in the 17-story Two Shell Plaza at 777 Walker. Renovations to Two Shell Plaza began in early 2014, and the building's name was changed to 811 Louisiana, as Shell was expected to vacate 357,000 sf in 2015. As the downturn in oil continues to drag on, Houston is expected to see further increases in office sublease space. Sublease space in Houston spiked 95 percent year-over-year to 7.1 million sf in 2015, according to CBRE​. The markets hit the worst were the Energy Corridor, downtown and Westchase. The Houston Business Journal reported in January that the downtown submarket will have 1.9 million sf of Class A direct space and 1.9 million sf of Class A sublease space put on the market in 2016.